The iconic Frank Capra film has captured the hearts and minds of people around the world. It’s the quintessential American Christmas movie. Now, the Playmakers Repertory Company is bringing a stage adaptation to Chapel Hill. 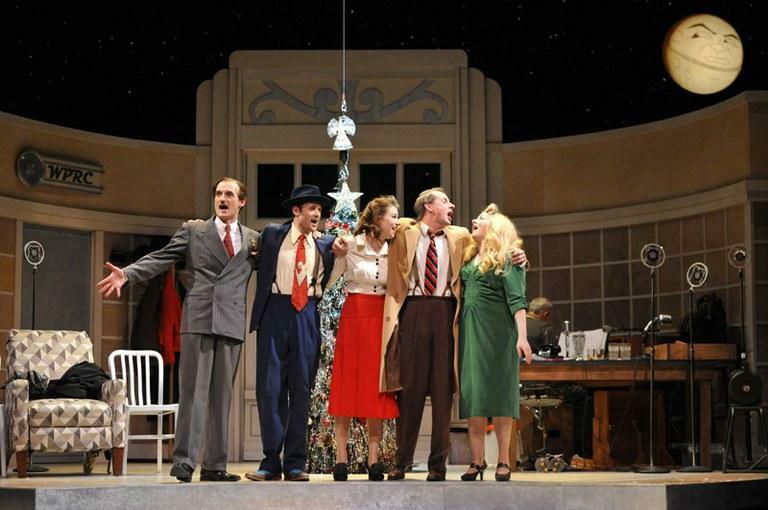 “It’s a Wonderful Life: A Live Radio Play” is showing through December 16th at the Center for Dramatic Art on the campus of the University of North Carolina at Chapel Hill. Host Frank Stasio talks about the production with Mark Lewis, the music director for the production; Nelson Eusebio, the director; and actors Ray Dooley, Brandon Garegnani, Katja Hill, Todd Lawson and Maren Searle.